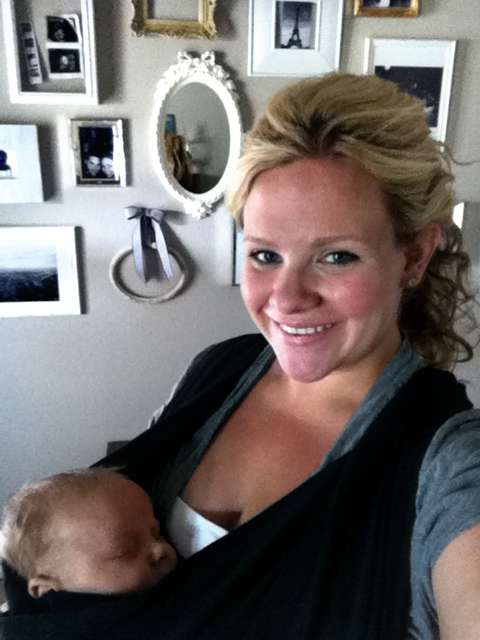 So here I am with Henry his new K'tan carrier. We LOVE it! Henry's not a very good napper but after one minute of being in this thing he was out! And I was able to eat lunch and fold laundry-amazing!